Car Locksmith in Nyc - Froglock - We stick to our prices! 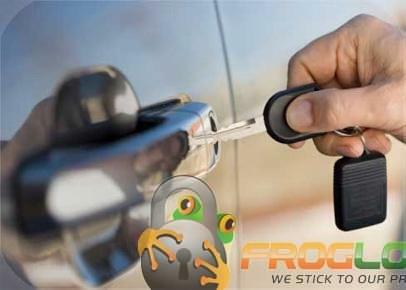 Frog Lock Locksmith is your New York car locksmiths for all emergency and non-emergency situations. Give us a call at (516) 263-7770 for our reasonable flat rates and excellent service. And Hey.. Don’t forget – We stick to our prices!.. From lockouts to replacing high security car keys, Froglock is your car locksmith in New York. We have locksmiths that arrive quickly in emergencies so you won’t have to wait for your lockout, lock repair or key replacement. Froglock promises flat rates that will not change when we arrive on site. We will treat your car with respect and assure you that we will not cause any damage. Call Froglock to have our friendly, professional locksmiths come help you with your car locksmith needs.